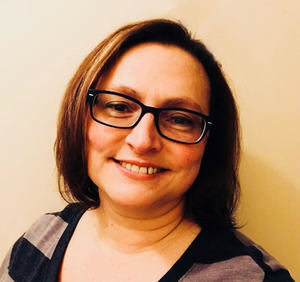 BROOKFIELD, CT (January 15, 2018) –The Brookfield Democratic Town Committee (BDTC) voted unanimously on Thursday, Jan. 11, to elect 17-year Brookfield resident Laura Orban as its new chair. Orban replaces former Chair Mike Zacchea, who stepped down from the post due to increased professional obligations. Orban was Campaign Manager for Steve Dunn and Sue Slater in 2017 and led the Democrats to an historic win. A member of the BDTC since 2011, Orban has been an active volunteer since moving to Brookfield, starting with the Danbury Animal Welfare Society in 2002 through currently coaching an Odyssey of the Mind team. "I’m honored and excited to be the Chair of the Brookfield Democratic Town Committee. I know I speak for those far beyond the Brookfield DTC when I offer heartfelt thanks to Michael Zacchea, LtCol, USMC (Ret) for his service,” Orban said. “Mike steps down from his role as Chair to fill the ever-growing demands for his work on behalf of veterans, in Washington DC, and expanded interest in his book." Orban is a contractor for IBM, focusing on Project Management. With an MBA in Management, she has 20 years experience as an Internet Marketing Consultant. She also has certificates in leadership, grant writing and capacity building. Orban said that last year the BDTC made more calls and knocked on more doors than ever before. “We asked the residents of Brookfield what matters most. We ran highly qualified, dedicated candidates. And we built on our record of delivering value and results. We’re proud to continue to earn Brookfield’s support.